I didn’t get an official invitation to the May 29 inauguration of Nigeria’s new leader President Muhammadu Buhari, so I invited myself. 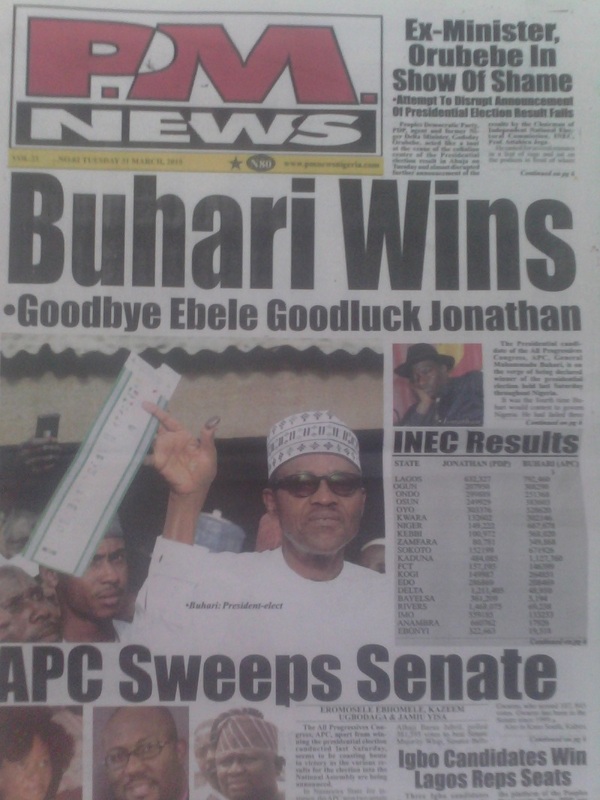 Since he was declared winner of the March 28 elections, Nigerians, at home and abroad, couldn’t wait for the day when “Sai Baba” would be sworn in with his Vice, Prof. Yemi Osinbajo, and for him to “hit the ground running”; the country was in such terrible shape on all possible economic indices that people just wanted to see–and–feel the change that the incoming administration promised during the months-long campaigns. The anxiety was not much different from how football fans feel as a World Cup approaches. Like the 15+ million Nigerians whose votes secured the win for Buhari, I was glad to witness the beginning of the end of the administration of President Goodluck Jonathan and, more comfortingly, the beginning of the end of 16 years of the Peoples Democratic Party (PDP) in Aso Rock, Nigeria’s “White House”. When I learned of the sitting president’s call to his main challenger to conceded defeat, I walked into a bar in my street and had a bottle of beer, smiling and relishing every sip. It was my own way to celebrate a hard-won battle. For a reason I couldn’t understand or explain, I felt like a boulder had been lifted off my chest. All of me felt liberated; all of me longed to be at the Eagle Square, venue of the highly anticipated ceremony on 29 May (the official Democracy Day). 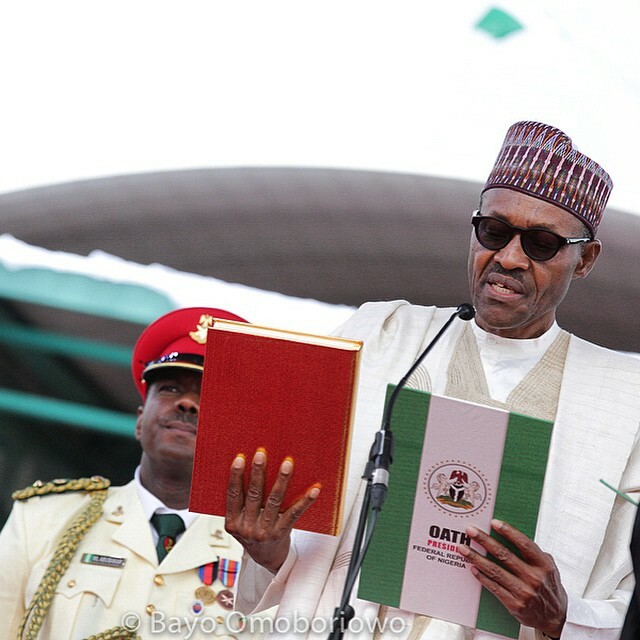 And so I counted down to the Inauguration Day, like every Nigerian alive did. Fortunately for me, a friend of mine was due to return to his base in Markurdi via Abuja, so I rode with him out of Lagos at noon on Thursday May 28; en route, we chit-chatted and delighted ourselves with all the pleasures that comes with a road trip: the gorgeous landscapes, the vibrant vegetation, the road snacks, and the everyday people going about their daily routines. After 14 hours on the road, we reach Abuja at 2 am on May 29, eight hours before the inauguration was scheduled to begin. We drove past ATMs blinking in the illuminated darkness. Everywhere around the Transcorp Hilton Hotel, where I guessed most of the visiting presidents and other VIP guests must have been lodged, was heavily policed. Pickup vans and gun-wielding, fully kitted security personnel stood at various locations; and just across the road from Transcop, and at that time of the morning, dozens of vehicles were on a queue for fuel at a filling station, a ritual that has persisted for weeks. The scarcity almost shut down the entire country down barely two weeks ago. We were relieved to be finally in Abuja, but we couldn’t drive to the Bayelsa State Guest House, where we had earlier made a reservation: the various roads leading to the facility had been blocked off to restrict residents’ movement, especially those who might be up to no good; after a half-hour merry-go-rounding, we eventually got permission from the security folks, made our way past them and settled in our room shortly afterwards. There was not much else to do then other than to slide under the sheets, sleep and wake up to daybreak–and a new beginning for Nigeria. When I woke up at 8 am, the television networks–NTA, CHANNELS, AIT–were already broadcasting from the Eagle Square, running commentaries and giving the world a glimpse of the packed arena, so to speak. Few days back, the local media had reported that some 51 heads of government were expected at the swearing-in ceremonies; I was pleased to see some of them arrive and settle down in the bullet-proofed State Box, exchanging greetings, embracing and shaking each others’ hands, and smiling. I was especially pleased when U.S. Senator John Kerry, apparently representing President Barack Obama, stepped into the Square, his presence stirring up even more excitement in the seated guests. Nigeria’s former Presidents and Heads of States were already seated; before too long, the outgoing President and Vice-president Dr. Goodluck Jonathan and Arch. 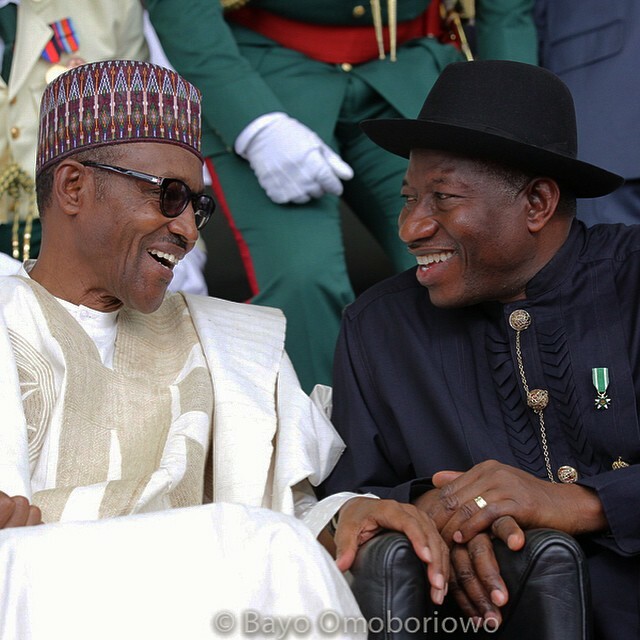 Namadi Sambo and the incoming President and VP took their seats and the ceremonies began.